Summary: Serve delicious hamburgers and beach drinks. Summer is here! 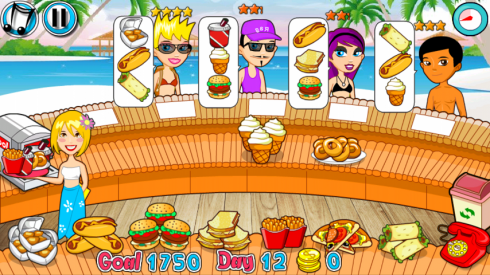 This summer we have brought our fast-food restaurant game to the beach, to be among the palm trees and a lot of sun. Don't miss your moment to choose the ingredients to bring to the boys and girls that are coming. Serve delicious hamburgers and beach drinks. 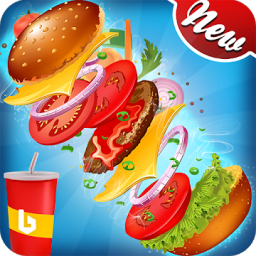 When you finish a level you will know how to make new dishes to fill the restaurant using new and tasty recipes. You will also be able to see on many levels of the game how to switch to a spot on another beach. In this improved version, you will have to look for all the missing ingredients, in order to replace them. Spend your money wisely when you buy food, since if you spend too much you will not be able to move to the next level. 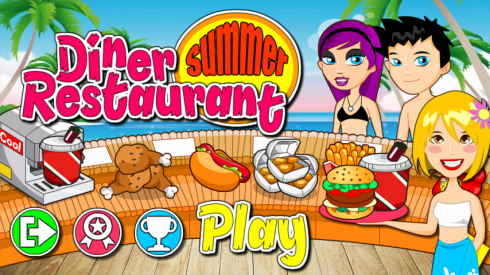 If you are a fan of restaurant games, you'll love this version of Diner Restaurant. Great, fresh graphics. The increasing difficulty will require you to be even more skillful as you play, and will ensure you have fun for hours.